The Minnesota Association for Justice recently announced through a press release that they introduced a legislative bill called the Minnesota Family Protection Act, which will protect families by closing an insurance loophole that many of the state’s boat owners are unaware of. "ST. PAUL, MN – Today at the State Capitol, Republican and Democratic parties came together to address a critical-yet- little-known loophole in umbrella and boat insurance policies that impact Minnesota families. 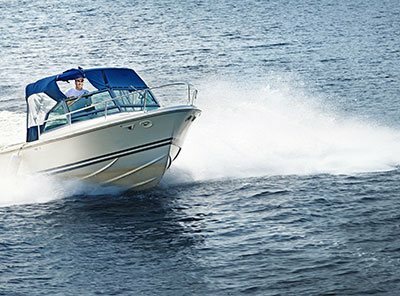 The loophole is called a ‘family exclusion’ and it’s found in the fine print of most boat insurance policies sold to Minnesotans. It means that the boat owner’s family, children and other resident relatives are excluded and eliminated from the insurance policy." "On Monday, March 19, a bipartisan group of legislators introduced a bill called the Minnesota Family Protection Act, which will close this loophole by prohibiting ‘family exclusions’ in boat and umbrella policies. The bill mirrors language already included in a statute covering Minnesota family members in automobiles; a law that has been in place since 1974."